The Bing Daniel Realty brand is tied directly to the service we provide. Our clients are the foundation of our business and all that we do. Our goal is to provide exceptional service to support the goals of our clients. At the end of the day, our focus is 100% on our clients. Our expertise and experience is just as good, if not better, than our competition, but our focus on the client experience and customer service is unparalleled in the industry. At Bing Daniel Realty, we firmly believe that “once a client, always a client”. Whether you have questions, need assistance on filing for your homestead exemption, require data to support protesting property tax valuations, need referrals for a handy man or other service professional after closing, or whether you need to sell your home or buy another home years down the road – Bing Daniel Realty is here to serve. Bing Daniel Realty truly offers professional, attentive and dedicated service. Kenda Daniel is extremely knowledgeable of current listings and ensures that you are too; she is a realtor who goes above and beyond and gets the deal done. Our family relocated back to Texas from Shanghai, and Kenda worked at odd hours due to the different time zones, all to ensure that we were well taken care of and had a home to move into upon our arrival. Thanks to Kenda, we did not have to deal with temporary housing, and an already stressful relocation from China was made much easier and bearable. My family and I are delighted to be spending our first Christmas in our dream home, and we have Kenda to thank. If you are searching for a realtor with the “It” factor, look no further. I highly recommend Bing Daniel Realty and Kenda Daniel for her professionalism and her knowledge of the real estate market. Being new to the area, I relied heavily on Kenda’s knowledge and advice. She effortlessly guided me through the entire home-buying process, and she displayed endless patience for all of my questions. She instinctively knew which property was the right one for me. Kristen Mead was always friendly and professional. The Best!!! Kenda has represented our family on 5 transactions. First, she expertly assisted us on the purchase and sale of our home in The Woodlands and on the purchase of a new lot and our new home on Lake Conroe. She was always patient with us, and helped guide us through a market where multiple offers were the norm and at an all-time high. Tim Daniel was invaluable and helped us navigate through a couple of items to avoid what could have become significant real estate legal issues. Additionally, when my parents decided to relocate from Florida to Texas, we did not hesitate one second to call on Kenda to assist them. Kenda was able to work with them remotely, find homes that satisfied their requirements, and create a short-list of available homes to tour in person during their periodic visits. What would typically be expected to take months of searching, eliminating, and negotiating was decided upon quickly thanks entirely to Kenda’s time, dedication, and experience. Our experience with Bing Daniel Realty was outstanding! We had our heart set on certain schools and areas within The Woodlands. Kenda Daniel was extremely knowledgeable about all of the neighborhoods we were interested in, and she would always make appointments on short notice. We looked at over 25 houses with about 10 trips to The Woodlands. Each time, Kenda was patient and considerate in our family’s needs. After a long search, we found the house that our family will call home. I wholeheartedly recommend Kenda Daniel of Bing Daniel Realty for all of her real estate services. She has successfully relocated my family four times. No matter the issue: timing, size, location, price or negotiation, Kenda handled all of these issues with great skill. Finding a home and moving is no easy task. Kenda honed in on exactly what we wanted and needed, and she guided us to it. Kenda’s professionalism in negotiating was an invaluable asset. We got the house we wanted, without the headaches. The service is second to none and well worth it. Bing Daniel Realty has represented me on 4 transactions over the years. Kenda Daniel makes a stressful situations much less so with her thorough knowledge and ability to work with other realtors. In the beginning, Kenda was extremely patient while helping us find the perfect house to call home. Later on, when we decided to move, she helped us sell our home and was yet again able to find the perfect home for us to move into. She provided excellent photographs to highlight my home, helped me stage my home to enhance its marketability when it was toured by prospective buyers, she did not waste my time with open houses which typically do not work to find a buyer, and she took the time to coordinate showings around my odd schedule (I am a nurse and often work nights and need to sleep during the day). I am moving again for work I highly recommend Kenda Daniel. Kenda Daniel helped us sell our home in The Woodlands. We were very pleased with the services provided by her. 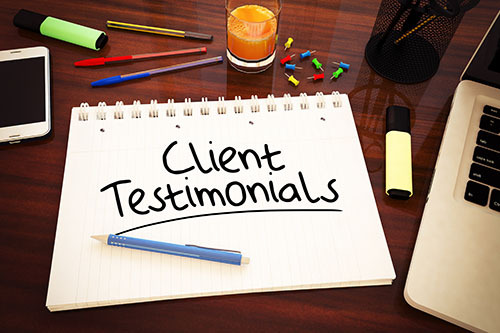 She was extremely professional, proactive, kept us well informed and did not hesitate to ‘”go the extra mile”. She worked with us in devising and implementing a marketing strategy, which enabled us to rent the house during traditionally slow period and sell it during the peak. If we had another house to sell, we would not hesitate to retain her services. Bing Daniel Realty has represented me in 8 real estate transactions in Austin, Houston, and The Woodlands. Both Tim and Kenda Daniel have provided stellar service on every transaction. When I am in acquisition mode, Kenda always finds exactly what I need. When I am in the selling mode, Kenda’s strategy is perfect, and my listings have only been active for a short period of time due to Kenda’s staging, effective marketing, and negotiating efforts. Tim has continued to provide legal support for my investment properties – all at a very affordable rate. His attention to detail and ability to communicate as a business professional and not just as a lawyer have been a true asset. I fully recommend the suite of services offered by Bing Daniel Realty. Not to mention that my 2 investments have increased in value by 40% over the last 4 years, and my tenants are paying all the carrying costs!